KALEIDO, Ideas & Logistics has received the runners-up award for the Sustainable Company on the second edition of the Focus-Abengoa Sustainable Business Prize for its initiative on “Green Logistics – Sustainable Logistics”. Nicolás Troncoso, R+D Director, has received the prize at an event where Abengoa publicly recognizes suppliers that have demonstrated their commitment and contributed to sustainable development and therefore, represent an example for other organizations. “It is a source of great pride to us to obtain such an acknowledgment from a Company like Abengoa. This represents yet another boost to our commitment to the development of a sustainable and environmental friendly logistics that doesn’t drive up costs.” underwrites Xoán Martínez Reboredo, CEO of KALEIDO, Ideas & Logistics. KALEIDO is committed to a competitive, global, innovative logistics, based on the respect for the environment in all its activities. Hence, the line of research GREEN LOGISTICS is born, that seeks to develop a sustainable business model and to offer “green” solutions to its customers but without compromising on competitiveness. One of the latest developments has been the calculation tool KARBON TRACK, a pioneer system of GHG (greenhouse gases) emissions measurement of the projects in which KALEIDO is involved. This tool, contrary to others, is based on international protocols and independent verification ensuring comparability and the correct calculation of the results issued. 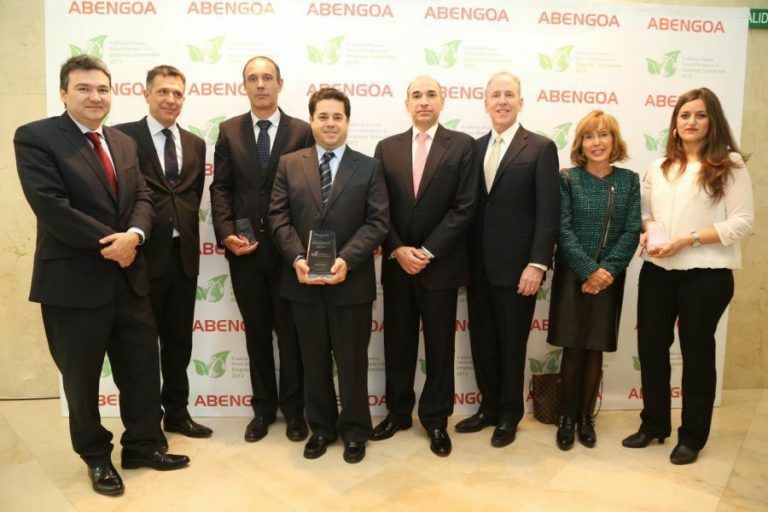 Caption: The awarded with Manuel Sánchez Ortega – Abengoa’s CEO (5th from left to right ). Nicolás Troncoso, KALEIDO, Ideas & Logistics R+D Manager with the award (3th from left to right. Good day from Xiamen! As every year, Kaleido team: Chus Folgoso Patricia Expósito Miniño Juan Penide & LEON LIN attending the 18th China international fair. Excited to meet the industry trends!